Currently, we make two style, one is standard dome, another is 2-tube DOME. 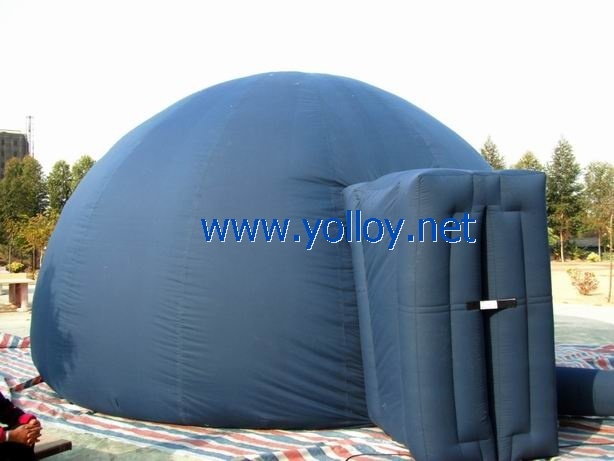 The most popular dome is 5M, and we also make 6M.7M. The cloth material we used is designed with the highest standards for fire retardancy,The colth meet NFPA701 standard. It’s durable, lightweight for easy transport, with fewer wrinkles for movie playback. The double-door, vestibule design creates a quick seal behind each admittance. late arrivals or those who must leave unexpectedly do not disturb the show in progress.